We have a legal obligation to check proof of ID and Proof of Address for all UK and non-UK customers who use our address services. This is to ensure we comply with Anti-Money Laundering (AML) regulations and Know Your Customer (KYC) requirements. Your service can not be activated until all ID has been verified. You will need to scan the necessary documents to: id-check@madesimplegroup.com. Alternatively, you can post the necessary original certified copies to: Compliance Department, Made Simple Group, 20-22 Wenlock Road, London, N1 7GU. However, please note that this process will obviously take longer. If you do not have documents at the time or are waiting to get documents certified or notarised, you can still continue signing up - but we must receive the documents within 10 days of initial payment. Please note: Your account will not be active until we receive and successfully verify your documents. Therefore, you should not start to use your service until you receive confirmation that your account has been activated. Any mail received before the account has been activated, cannot be processed and will have to be returned to sender. You must provide one of each of the following from the proof of ID and proof of residential address document list. 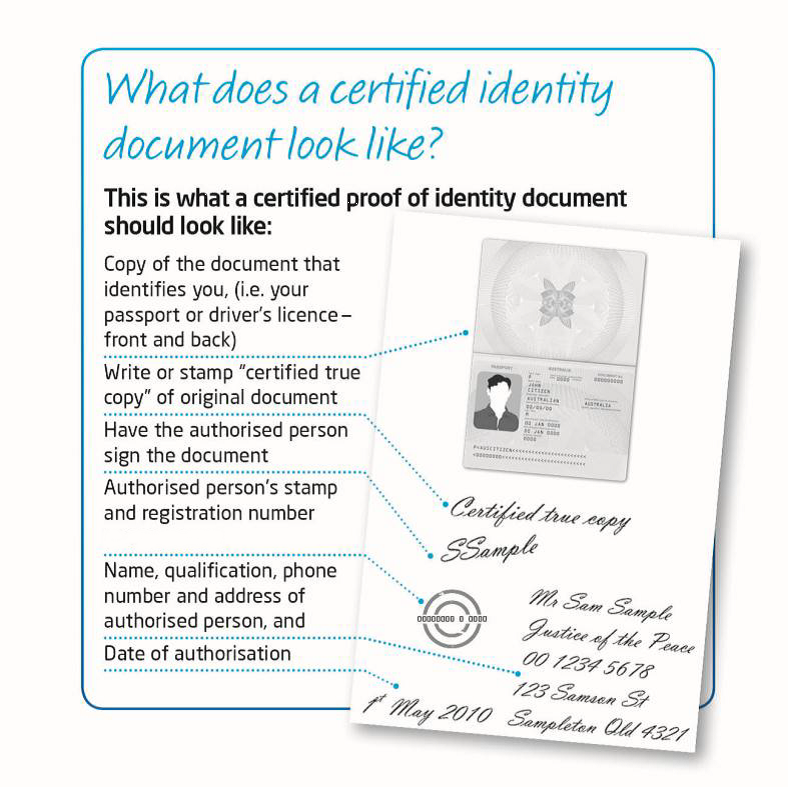 Both the proof of ID and proof of residential address documents must be certified and be accompanied by the relevant official stamp and signature from the certified person. ** You cannot bring ID and/ or Proof of address for any other person other than yourself. In other words, the person to whom the document belongs must be present in order for us to certify them. Please Note: The certification must be present on the actual document to be validated successfully. It must be on both the proof of ID and proof of residential address. Please see the image below for a visual representation. ID and address documents must be received within 10 days. Failure to send acceptable ID will result in your service being terminated. Your service will only be reactivated once the ID documents have been received and checked. Does my passport/driving licence count as both proof of ID and proof of residential address? No, these must be separate. The passport or driving licence counts as just the proof of ID and not proof of residential address. Therefore, you must supply the proof of residential address document separately, i.e., a bank statement. Can I supply proof of my company address? To ensure we comply with AML regulations, we can only accept proof of residential address documents, i.e, you must live at the address. Do both documents need certifying or just one? Both the proof of ID and proof of residential address must follow our guidelines. See what should a certified document look like. Can I email my documents first to check whether it will be accepted? Yes, if you send your documents to id@madesimplegroup.com we will let you know whether it would be accepted or not.